The PPM is well-known by employers: an estimated 7000 people attended one of more than 130 intakes since 1997. 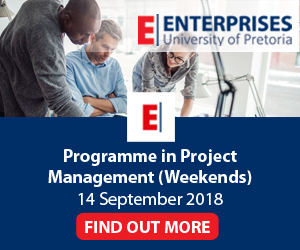 Why should I choose the Programme in Project Management at the University of Pretoria? 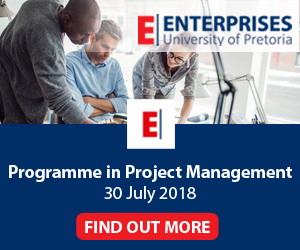 The University of Pretoria, South Africa has been offering education and training in Project Management for more than 30 years and is the undisputed leader in project management education in Africa. Project Management is a multi-disciplinary field that includes a variety of aspects such as scheduling, people-management, aspects relating to finances and cost, legal aspects, procurement and contracting, risk management, organisation structured, quality management, etc. As one of the largest multi-disciplinary universities in South Africa (with more than 1000 permanent lecturers) we are ideally positioned to address this multi-disciplinary field. The lecturers who teach the core aspects of project management have decades of practical experience in industry. Some of the lecturers also perform project management consulting work in their private capacity. Hence we are in a position to offer very practical courses. Our research projects in the field of project management (including research work on our PhD (Project Management) programme bring us into contact with international leaders and ensure that we remain at the forefront. The Department responsible for project management training (The Graduate School of Technology Management) is a registered education provider of the Project Management Institute in the USA.